Human rights sources quoted the inmates of the Joe prison as they are suffering from diseases, restrictions, violations and deprivation. In addition, the cells of the Prison are very narrow, which forced the detainees to sleep in the corridors, and the overcrowding leads them to share sleep times. These sources have explained that the cell, which is enough for 6 people containing 13 prisoners. 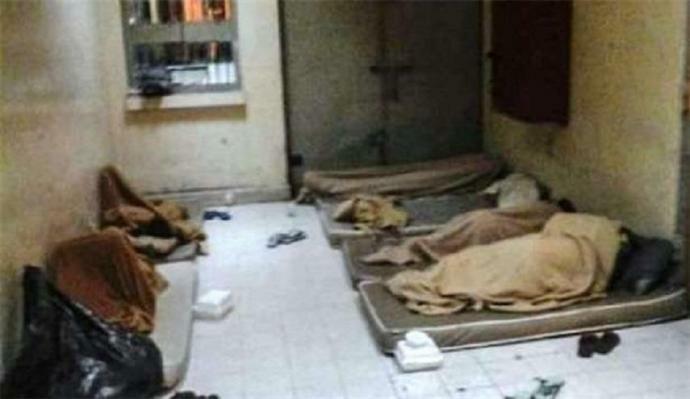 In the context of the restrictions on religious rituals and freedoms , the fasting detainees who start fasting in the month of Rajab are deprived of breakfast and Suhoor and are prevented from storing daytime meals. The prison administration deliberately withdraws them before Adhaan (praying time) , leaving them without food, which is basically rotten and inedible, causing them poisoning states. Detainees are also denied exposure to the sun, complaining of cold or severe water, which has contributed to outbreaks of scabies, skin diseases and allergies, as well as denial of treatment.